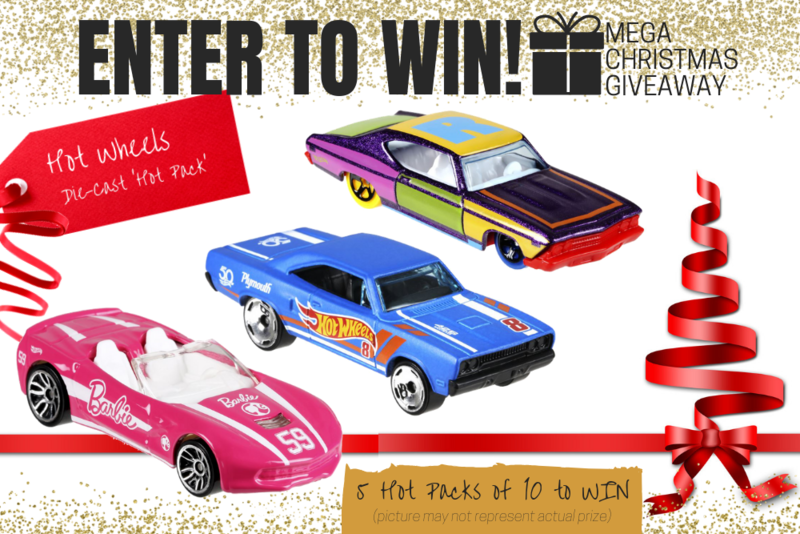 Hot Wheels die-cast cars have been igniting kid’s imaginations, creativity and fun since 1968. With 400 new designs released each year, it’s no surprise that 50 years on Hot Wheels die-cast cars remain the number one selling toy in the world. The cars are segmented into 30 different mini collections, with each collection including themed vehicles ranging from muscle cars, sports cars, race cars, trucks, and trending roadsters. RRP: $2.99 each, Age: 3+ Available: Coles, Big W, Kmart, Target, Myer and Woolworths and leading retailers. 1. **Hot Wheels Die-cast Cars (pack of 10). Total Prize Value $29.90** AUD (the "Prize"). 2. It is the responsibility of the winner to collect the Prize within 7 days of the end of the Competition Period from the Promoter’s Mornington office. 3. The Prize, or any part thereof, must be accepted as awarded and is non-negotiable, non-transferable to another person and non-convertible and is not transferable for cash. 4. The prize must be collected from the Promotors Mornington Office, unless otherwise advised.